When Good Spa Guide started 10 years ago there were around 50 spas in the country. Now we list about 800. Some spas offer very similar services; steam, sauna, hydro pool, relaxation area in which you’ll have a wonderful spa day. But every once in a while I step into a spa that just feels different, somewhere like Thermae Bath Spa. 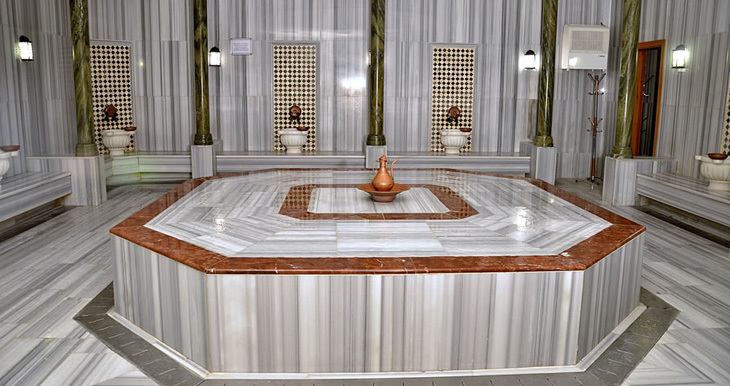 Thermae is housed in a mix of new architecture and restored historical buildings. It provides access to the historic thermal waters at Bath in a very sympathetic restoration and redesign project. Thermae opened its doors in 2006 and has gone from strength to strength since opening. Firstly, a gentle word of warning. It’s busy. Perhaps busier than it was originally intended. But there was always enough room for me to find a quieter corner to laze away the afternoon. There’s also a huge range of ages and nationalities at the spa and while it’s lovely to see a big cross section of society enjoying the pursuit of spa bliss, some may be less reserved than your average Brit. But, on a brilliantly sunny July day, I was shown into the Cross Bath at Thermae Bath Spa – it’s just across the road from the main spa. It was perfectly quiet, calm, warm, and felt like my own personal peek into history. The thermal waters flooded in through a glass bubble, filling the pool with the ‘cure’ recommended by regency doctors. Through the glass ceiling the sandstone contrasted crisply with the vivid blue sky. A snapshot of spa heaven. Back at the main spa, I made my way through the bustling changing rooms and found one of the most architecturally stunning spas I’ve ever seen – and I’ve seen a lot. Glass, steel and stone soar around the largely open spa spaces. 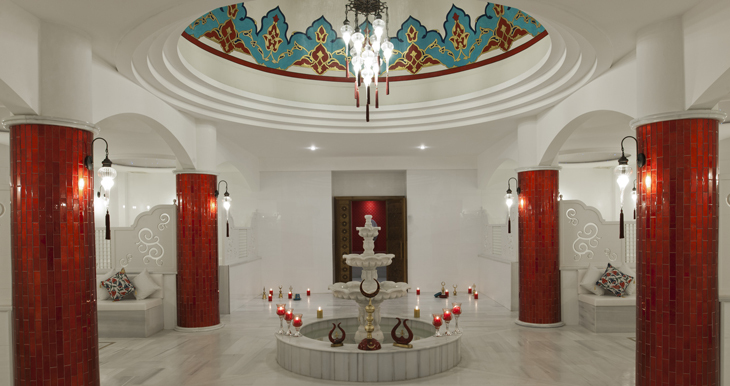 It’s gratifying to see a spa that is designed as a spa, rather than an accoutrement to a hotel. As expected the pools are the hub of the spa, with the Minerva Bath downstairs and the roof top pool above. Both are very large and can manage the higher footfall. Scattered around the spa there are three different treatment areas, each with a quiet relaxation room. Relatively recently, Thermae started working with British brand Aromatherapy Associates. Both brands stand for British values (albeit one with rather more history) and work on the more holistic side of spa. I tried the new Roman Trilogy treatment (85 minutes, £92), which includes a body scrub, massage and facial. It’s the perfect treatment if you’re not sure what you want – why choose just one! My therapist started with a salt and coffee body scrub which was very invigorating, before using vanilla and ylang ylang in the body massage, and finishing with a revitalising facial using rose and geranium essential oils. My skin felt blissfully soft and Megan, my therapist, really listened to my concerns and made sure the treatment was right for me. I drifted my way to the outdoor terrace and soaked up the sun. If space is your thing or you don’t want to cope with crowds, book into the Cross Bath or opt for a treatment in the Hot Bath where you can take the waters alone. It gives you access to the very special waters, without the other people. But I can’t say enough, look beyond the crowds and try it -- no self-respecting spa-ista should miss Thermae. 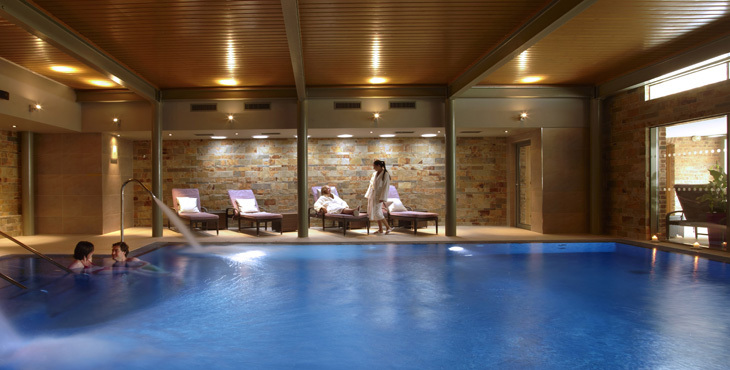 The Spa Spies share their top five spas with water facilities.